What is a feral/wild cat? A feral cat is one that has either lived its whole life with little or no human contact and is not socialized, or is a stray cat that was lost or abandoned and his lived away from human contact long enough to revert to a wild or feral state. Feral cats avoid human contact and cannot be touched by strangers. Is “feral cat” another term for “stray cat”? What is the difference? “Feral” is not another word for “stray.” A stray cat is a domestic cat that has been abandoned or has wandered away from home and become lost. A stray cat may be skittish in your presence, but because stray cats once knew human companionship, they can usually be re-socialized and placed in homes. Adult feral cats can rarely be socialized and are most content living outside. Feral kittens up to 8 – 10 weeks of age, on the other hand, can almost always be tamed and placed in homes. Observe the cat’s appearance and behavior. A stray cat will often approach you, although usually will not get close enough for you touch it. If you put food down, a stray cat will likely start to eat right away. A stray cat is often vocal, sometimes talking insistently, and may look disheveled, as if unaccustomed to dealing with conditions on the street. A stray cat is apt to be seen at all hours of the day. A feral cat is silent, will not approach humans, and generally will be seen only from dusk to dawn, unless extraordinarily hungry and foraging for food. A feral cat has adapted to outside conditions and is likely to look well groomed. If you put food down for a feral cat, he will wait until you move away from the area before approaching it to eat. I would like to find a good home for a feral cat I have been feeding. Is this possible? Generally, no. Adult feral cats usually cannot be socialized and will not adjust to living indoors. A great deal of time and effort can go into attempting to tame an adult feral cat, with no assurance of success. This time and effort is far better spent sterilizing feral cats to break the cycle of reproduction, and then allowing them to remain in their environment. I discovered some cats outside. Who can I call to come and get them? The first step is to determine if the cats are tame or wild. If the cats are tame (come up to you or don’t streak off or appear to be docile), they most likely belong to people living in the neighborhood. You should knock on some doors and post “found cat” flyers throughout the neighborhood. 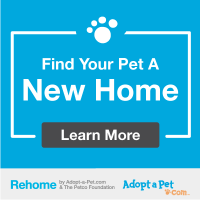 After a few days, if you get no response and you decide they are lost or abandoned, you can register the cats online at www.pets911.com in the Found Pet section. You can also call the local animal shelter to see if they will accept them, but be aware that if it is not a “no kill” shelter they could be euthanized as shelters are chronically overcrowded. If the cats are obviously feral, animal control or the municipality (partially funded by tax dollars) is the only agency that MAY come and get them, and the cats will almost certainly be killed. Even no-kill shelters and rescue groups find that adult feral cats are virtually impossible to adopt out. Feral cats live in colonies and congregate near food sources. These colonies can be managed in a humane, compassionate manner called trap-neuter-return, in which cats are humanely and painlessly trapped in a live-trap, spayed or neutered, and returned to their colony site where a volunteer caretaker (such as you) provides food, water, and shelter, as well as monitors them for ill health and injury. They are not just returned to the wild to fend for themselves. TNR involves assessing each cat (sickly or injured cats are humanely euthanasized), neutering them, giving them rabies vaccinations, and ear-tipping (universal sign of neutered feral cats). And contrary to popular belief, feral cats can be re-trapped as the need arises. TNR is the ONLY CHANCE feral cats have of living safe, healthy lives without reproducing. But TNR is a hands-on project requiring commitment from one or more volunteer caretakers, often with help from feral cat advocates living in the area. Please… Become part of the solution and help solve the problem of cat overpopulation! …a National Feral Cat Resource Center and the leaders in humane management of feral cats. The members of Life Savers Animal Rescue extend appreciation to Alley Cat Allies for allowing us to use their literature in an effort to educate people in our area on the humane treatment and management of feral cats.